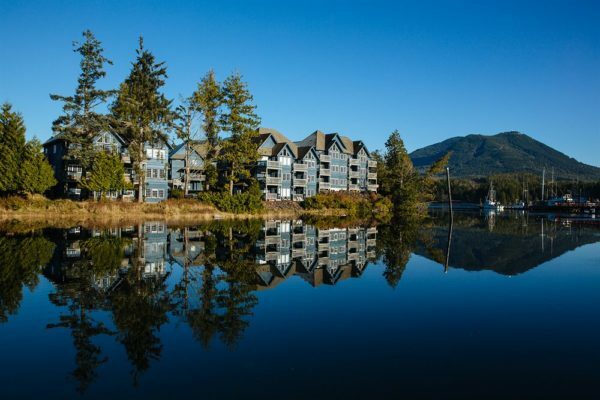 Ucluelet will quickly become your home away from home with its wide selection of accommodations. From luxury resorts, hotels, motels, cozy, cabins, campgrounds, and RV sites, Ucluelet offers something for everyone’s taste and budget. There are several lodging options available within walking distance to the boat basin. Mention to the provider that you are fishing with Paul from Castaway Charters and you will likely receive a nice discount! gas fireplaces and flat screen TVs. BBQS are located nearby for your use. Very relaxing after a hard days fishing, kick back in the hot tub and prepare for your next days battles on the sea. The resort is right across from the docks a one minute drive or just walk around the Harbor. We actually pass right by it in the boat on our way in and out of the marina, so you can wave to your friends and or family members’ that are not fishing that day. They can spend their time at the Nurture Spa or just sit back and relax in the Hot Tub, enjoying books or DVDs from the front desk library, free of charge. Same discount as usual. If booked direct with the office and mention Castaway Charters. Sleeper units to 2 bedroom suites. Spacious and comfortable sleeper units, kitchenettes and 2 bedroom suites. Centrally located, short distance to trails and beaches. 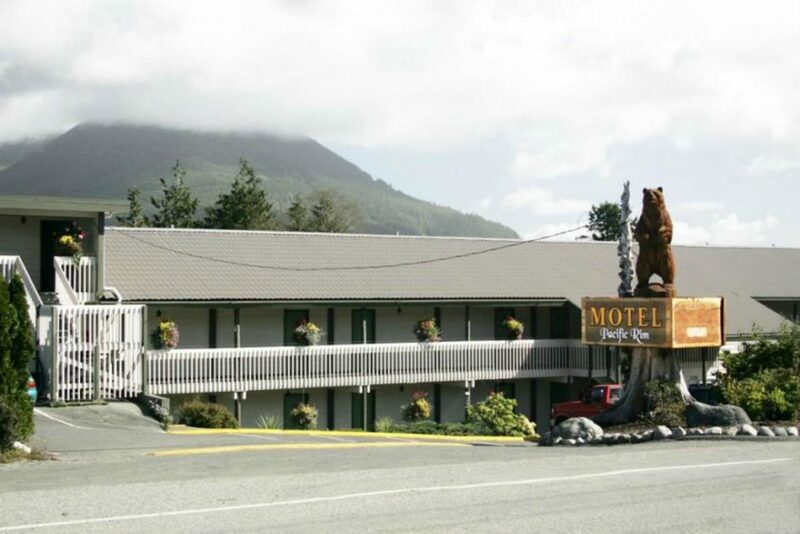 For comfort & convenience stay with the Corlazzoli’s at the Pacific Rim Motel. 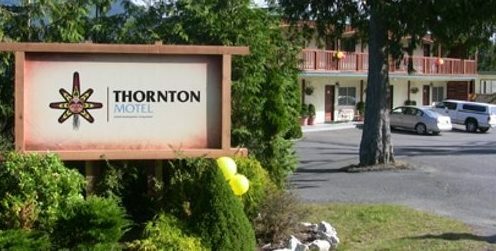 Located in the heart of Ucluelet, the Pacific Rim Motel is a perfect “home away from home” for anyone who wants to relax and explore all the West Coast has to offer. Our spacious rooms face the Ucluelet Harbour where fishing charters, nature cruises, scenic flight tours, bear & whale-watching tours, and kayak rentals are available. Book Today For The Best Fishing Dates!